Updated Monday January 22, 2018 by Alex Mendoza. Become a Sponsor for AGSA! Our mission is to create a fun & safe environment for our girls. 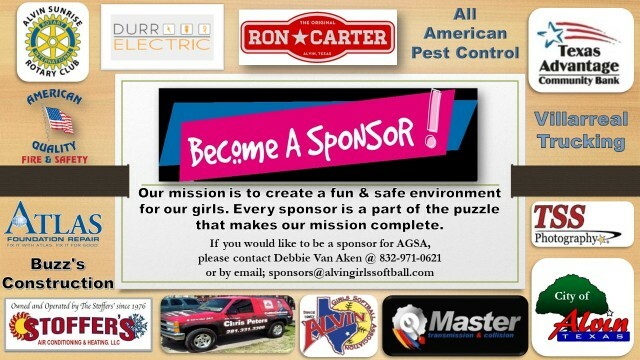 Every sponsor is a part of the puzzle that makes our mission complete. Our sponsors are such an important part of our organization. And help us make a differnce in the lives of so many girls.